Marla Kingkade, President - Law Enforcement and Community Liaison, CRF/ PERT San Diego. Marla Kingkade has worked within the law enforcement and mental health communities in San Diego County for thirty-two years. Marla developed several programs for law enforcement jurisdictions involving mental health issues, including juvenile diversion programs for the El Cajon Police Department, the La Mesa Police Department and the San Diego Police Department. In addition, Marla implemented the Psychiatric Emergency Response Team (PERT) for San Diego County law enforcement agencies. Marla, with the help and support of many community partners, implemented the PERT program in 1996 for the San Diego Police Department. In 1998, the PERT program became county-wide involving several law enforcement jurisdictions, including the San Diego County Sheriff’s Department and eleven additional law enforcement agencies. In addition, Marla was part of a team that incorporated the PERT program into a non-profit company, PERT, Inc. In 2001, Marla went to La Mesa Police Department as the Public Relations Officer but continued to support and to advise the PERT program on an as needed basis. In 2007, Marla was asked to return to the PERT full time to help coordinate the expansion of the PERT program. Currently, CRF/PERT contracts with thirteen law enforcement jurisdictions within San Diego County and assigns clinicians at twenty-three separate law enforcement locations. Marla also coordinates the development and distribution of training materials for law enforcement personnel and clinicians. In 2012, Marla joined the Board of Directors of Survivors of Suicide Loss (SOSL). She works with San Diego County law enforcement to distribute information and resources about the SOSL program. Georgina Yoshioka, DSW, LCSW, MBA, Vice President - Deputy Director, 24-hour & Emergency Services, County of San Bernardino. 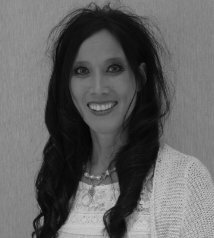 With 21 years of experience working the field of social work, Dr. Georgina Yoshioka, DSW, LCSW, MBA specializes in the delivery of behavioral health services to diverse populations including criminal justice, behavioral health, and child welfare systems. She has held a variety of clinical and managerial positions throughout her career. Her vast experience as a pre-and-post licensed clinical social worker (LCSW) consists of providing individual and group psychotherapy and case management to adults diagnosed with a co-occurring disorder and/or chronic medical condition, children, and couples in outpatient and residential behavioral health treatment settings. As the Deputy Director of 24-Hour & Emergency Services for the San Bernardino County Department of Behavioral Health (DBH), Dr. Yoshioka oversees an array of centralized specialty County behavioral health programs including Community Crisis Services, Diversion Services, Centralized Hospital Aftercare Services, the Crisis Intervention Training (CIT) program and manages DBH’s Crisis Stabilization Units, Crisis Residential Treatment facilities and Crisis Walk-In Centers. In her prior position as DBH’s Adult Forensic Services Program Manager II, Dr. Yoshioka addressed the needs of the adult forensic population by effectively managing specialized outpatient treatment programs through partnerships with key members of the criminal justice system including San Bernardino County Sheriff, Probation, Public Defender District Attorney, and local law enforcement, mental health courts, hospitals, parole and state prisons. In addition, since 2008, Dr. Yoshioka has worked in collaboration with the San Bernardino County Sheriff Department as part of the CIT Committee, facilitating a robust behavioral health training program accessible to all law enforcement personnel throughout the County. The guidance of the committee provides law enforcement personnel with techniques to effectively address the multi-layered needs of individuals who may be experiencing a mental health crisis by diverting these individuals to supportive community resources rather than local hospitals or jails. Through these programs, facilities and partnerships, Dr. Yoshioka is an key contributor to DBH’s mission of providing individuals, families, and communities’ with access to services that promote prevention, intervention, wellness, recovery, and resiliency. Captain Daniel Lamm (Ret. ), Secretary - California Highway Patrol. With 35 years of public safety experience with the California Highway Patrol (CHP), Captain (Ret.) Danny Lamm was assigned as the Commander of the Capitol Protection Section. His responsibilities included the management of the CHP Capitol Police, Special Weapons and Tactical Mounted Patrol, Bicycle Patrol, Hazardous Device Detail, and Criminal Investigations. Well versed in public safety, Captain Lamm was a California Peace Officer Standards and Training Master Instructor who had designed and implemented training courses for over 10,000 Highway Patrol employees statewide. He was tasked with the development and implementation of the CHP Mental Illness Response Program, including new training curriculum for all CHP employees depending on their level of public exposure and job functions. Captain Ray Sweeney, Treasurer - La Mesa PD. A member of the PERT Coordinating Council, Captain Ray Sweeney is currently the Commander for the Services Division of the La Mesa Police Department. After 26 years in the Active Army/ California Army National Guard, serving two overseas combat tours, he retired as a Sergeant Major in 2012. Captain Sweeney joined the La Mesa Police Department in 2001, holding several assignments including Patrol Officer, Master Officer, Range Master, Defensive Tactics and Less Lethal Instructor, Detective, and Narcotic Task Force Officer. Prior to his promotion to Captain, he was the Commander for the Department’s Special Response Team (SWAT) and served as the PERT Coordinator for LMPD. Captain Sweeney also serves as a representative for the Regional Task Force on Homelessness and was instrumental in developing the Department’s Homeless Outreach Team. Sharon Roth, RN. BSN, MA - Santa Clara NAMI. 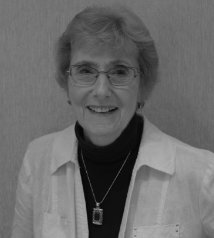 Sharon has been involved with CIT since 1979, and through her efforts Sharon has helped pioneer the CIT program in California. Her vast experience within the healthcare industry has helped her develop the knowledge and focus to ensure that patients get the best care possible, regardless of where the care is taking place. Presently, Sharon is an Adjunct Assistant Professor at Samuel Merritt University where she has two clinical rotations at three different psychiatric facilities twice a year. Sharon introduces her students to the world of a psychiatric patient from those needing an inpatient acute facility to those in recovery in outpatient sites. Prior to her recent retirement, Sharon was the Administrative Nursing House Supervisor at Kaiser Foundation Hospital in Redwood City. Sharon was responsible for patient care satisfaction, managed staffing levels to ensure quality patient care, assessed patients for proper level of care, and transferred patients to Kaiser when stabilized for return. Additionally, Sharon has intricate experience and knowledge gained from her past and ongoing involvement in positions such as being a founding member of CACITA; active member on the NAMI-Board of Directors; involvement with the CIT team planning committee in collaboration with NAMI, San Mateo County Sheriff’s Department, San Mateo Mental Health Department, and Argosy University; associate of the Crisis Intervention Team Planning Committee in collaboration with the Alliance for the Mentally Ill, San Jose Police Department, and the Santa Clara Department of Mental Health CIT program; trained facilitator for support groups, Family to Family instructor; founding member of the CISM Bay Area Team: 1986, and affiliate of the Education Committee and the Disaster Mental Health Services, S.C.V. Chapter, American Red Cross. Terry Wilcox-Rittgers MS., MFT, CGP - Clinical Services Manager II, County of San Mateo, Behavioral Health and Recovery Services. Terry is the past Secretary and Treasurer of CACITA. He was a key player in the in the creation of CACITA’s 501c3, the development of the organization’s website and the planning and execution of its annual conferences. Terry has been employed at San Mateo County Behavioral Health and Recovery Services since 1987. After the Loma Prieta Earthquake of 1989, Terry was asked to head the San Mateo County Mental Health Earthquake Recovery Project to assist the county in recovering from the emotional impact of the disaster. He’s experienced in a number of roles including management of services, case management services, and development of new programs. Terry is well versed in addressing the challenges presented by clients from a variety of backgrounds. His current management responsibilities include the development, implementation, and running of San Mateo’s Assisted Outpatient Treatment Program (AOT). He is also part of a team tasked with designing and building a new state-of-the-art Behavioral Health Campus to replace the Cordilleras Campus in Redwood City. Over the course of his career, he has been involved in the creation, implementation and/or running of numerous programs and services in Behavioral Health and San Mateo County including: Adult Resource Management (ARM), Family Agent Program, San Mateo County Mental Health Assessment and Referral Team (SMART), Family Assertive Support Team (FAST), Pathways Mental Health Court, Veterans Court, Field Crisis Consultation Committee (FCCC), Crisis Intervention Training (CIT) Academies, California Crisis Intervention Training Association (CACITA) and the Coastal Community Service Area (CSA). 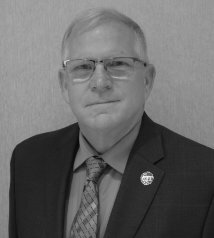 In addition to his work at BHRS, Terry has been the liaison to other organizations including our local Regional Center System, Probation, NAMI, and law enforcement agencies. 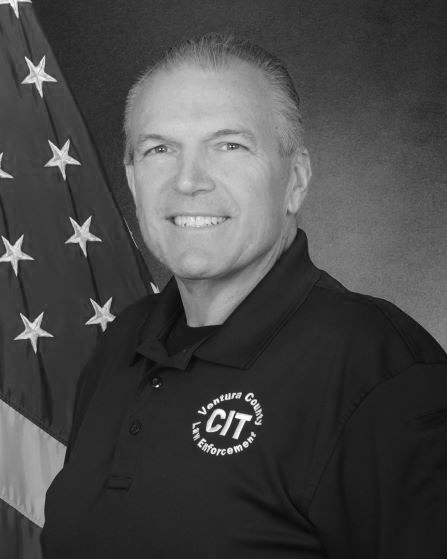 For many years, he has been involved in helping to facilitate the Crisis Intervention Training Association Academies with the local Sheriff’s office and NAMI San Mateo, and promoting CIT across California. Cameron Quanback, M.D. - Associate Medical Director, Cordilleras Mental Health Rehabilitation Center. A board-certified Forensic Psychiatrist, Dr. Quanbeck has 20-years of work experience in psychiatric hospitals and jails in Los Angeles, Sacramento, San Francisco, and San Mateo counties. Currently he is the Medical Director of Cordilleras Mental Health Rehabilitation Center, providing treatment for individuals living with serious mental illness in the San Mateo County Health System. Dr. Quanbeck has conducted research examining how California’s mental health laws contribute to the “criminalization of the mentally ill” and create a repetitive pattern of psychiatric hospitalization and jailing for those with serious mental illness. At Napa State Hospital, his involvement in research on inpatient violence was used to create training programs designed to reduce violence and prevent the use of seclusion and restraints in California’s state psychiatric hospital systems. Dr. Quanbeck has published articles, book chapters, and review papers presented both domestic and internationally on these topics, offering strategic solutions on how to best address these pressing issues within the public health system. He is a member of the California Psychiatric Association’s LPS Reform Task Force I and II, seeking reforms in the state’s civil commitment laws. This group helped pass legislation that has resulted in the rapid expansion of Assisted Outpatient Treatment programs across California, proving to be effective in preventing re-hospitalizations and the criminalization of the seriously mentally ill. Dr. Quanbeck lectures in the San Francisco and San Mateo County’s Crisis Intervention Training Academy, is a core faculty member in the San Mateo County Behavioral Health and Recovery Services Psychiatry Residency, provides clinical supervision and training for UCSF Psychiatric Nurse Practitioner students, and serves on the Board of Directors for the Treatment Advocacy Center. Armando Sandoval - CIT Team Coordinator, BART PD. 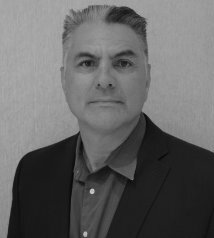 Currently serving with the BART Police Department as the CIT Coordinator and Community Outreach Liaison, Armando Sandoval has over 30 years of experience working as a Law Enforcement professional, Forensic Mental Health specialist and clinician, adjunct professor, and community outreach liaison. 15 years of experience as CIT academy instructor. Affiliated with NAMI San Mateo for 30 years, he also sits on his Local and State Board of Directors for NAMI CA. Armando has been with the BART Police for six years. His first task outside of acclimating to a four county transit system in the San Francisco Bay Area was to develop a CIT multi-disciplinary Forensic Team (MDFT) in Alameda County to support CIT officers in the community with challenging cases that need a collaborative approach and support. In addition, he has worked for the San Mateo County Mobile Mental Health “Mobile Support Team” within the Spanish speaking communities struggling with severe mental illness for three decades. Lived experience with family members, married to his best friend, 3 wonderful sons and an energetic and healing chocolate lab. Christina Valdez-Roup - Executive Director, NAMI Fresno. Christina is the Executive Director of NAMI Fresno. Living in California’s central valley for over 20 years, she comes to the mental health community with lived experience as a family member and a personal journey. As the lead for NAMI Fresno’s efforts supporting the law enforcement community, CHP and other local agencies with mental health training support, she also supports American Ambulance’s efforts in delivering CIT training to their Behavioral Health Support Team. This is a specialized team of paramedics that was developed to respond to mental health crisis calls in the Fresno community. Christina has recently received recognition from CHP as a recipient of the Fresno and Madera Police Chiefs Association Citizens Award for her support in providing mental health training to law enforcement professionals in the central valley. In addition to her work, she is a member of the local steering committee to developing a CIT team for the Fresno area. Commander Mark Stadler (Ret.) - CIT Program Administrator, Ventura Sheriff’s Office. 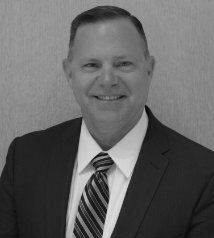 After retiring as a Commander from the Ventura Police Department with over 28 years of service, Mark Stadler became the Ventura County Law Enforcement CIT Program Administrator in 2015. He was a founding member of this CIT program in 2001. Mark holds a Bachelor’s degree in Criminology and a Master’s degree in Organizational Management from the University of La Verne. He is a graduate of the California Peace Officer Standards and Training Supervisory Leadership Institute and Command College. Mr. Stadler is an instructor at the Ventura County Criminal Justice Training Center and an Adjunct Professor for the University of La Verne. Constance “Khani” Gustafson, MSW - Senior Associate, California Institute for Behavioral Health Solutions. Constance “Khani” Gustafson is a Senior Associate with the California Institute for Behavioral Health Solutions (CIBHS), Evidenced Based Practices Team. She is responsible for designing and implementing training programs and providing technical assistance for county behavioral health organizations and their contractors. Khani began working with counties in 2007 to establish Crisis Invention Training and Programs. She worked collaboratively with a small group of dedicated professionals representing law enforcement, mental health and NAMI to initiate the California CIT Association (CACITA) and to co – sponsor the first California CIT Conference. In 2015, Khani also worked alongside the California CHP to host a statewide CIT Summit. The Summit was followed by two Senate Bills and State level support for collaborative partnerships and training for mental health, law enforcement and first responders. Khani works closely with county sheriff organizations, local Police Departments, lived experience networks, POST and mental health providing leadership and assistance to establish new CIT training and program. As a CIBHS Senior Associate, Khani is the lead for multiple innovative training and technical assistance projects including mental health and spirituality; cultural competence training: evidenced Based Practices including Identification and Intervention for Early Onset of Psychosis identification and Moral Recognition Therapy (MRT CBT). Khani also has expertise in program development, community capacity building and working with military personnel. Sergeant Kelly Kruger - San Francisco PD. Kelly Kruger has been a part of the San Francisco Police Department since January 2001. She began her career as a patrol officer, before being assigned to the Psychiatric Liaison Unit. She has experience as a member of the Special Victims Unit, General Work, as well as the Juvenile and Special Investigations Division. Currently, Kelly is assigned to the Crisis Response Team. As a member of the Psychiatric Liaison Unit, Kelly was responsible for conducting psychiatric interviews and effectively handling conflict resolution in and around the San Francisco Bay Area. She was responsible for creating and maintaining policy regarding mental health related issues including implementing and explaining new programs, as well as conducting presentations , and training personnel. Kelly’s work in the Special Victims Unit included case management of related reports to make appropriate referrals, address mental health issues, and handle follow up needs. She also assisted other agencies including the Behavioral Health Court, and Public Health Department, USF, CCSF, Highway Patrol, San Francisco County policy and Community Mental Health. Starting in 1997 Kelly spent three years as a member of the Mobile Crisis Treatment Team in San Francisco, where she provided early intervention services in the field to prevent volatile situations from escalating to critical crisis points. Prior to 1997, Kelly’s mental health service included work at University of California San Francisco Langley Porter Psychiatric Institute Hospital and clinics, Humboldt County Mental Health Crisis Services, Tom Smith Substance Abuse Treatment Center, Alameda County Mental Health Mobile Crisis Team, Mount Zion Hospital Crisis Clinic, Groves Nursing Registry, and Napa State Hospital. She is a Psychiatric Technician, State Board and licensed Vocational Nurse as well as a Certified Chemical Dependency Nurse and is a certified Hostage Negotiation SFPD team member. Kelly has extended her research and training to include many programs such as, CARE (Contact –Assess-Recover-Ensure success) Task Force and assisted with the Outpatient Program for Laura’s Law. Represented as a Subject Matter Expert for the Mental Health Update for Police Officer Standard Training, Learning Domain 37-People with Disabilities and worked to update the manual. “Law Enforcement Interaction with persons suffering from a mental illness,” A Legal Perspective” National Alliance Mentally Ill( NAMI) conference, Society For Police & Criminal Psychology and American Academy Of Psychiatry And The Law. She is also a member of the California Hostage Negotiation’s Association, The Association of Threat Assessment Professionals, and has been a member of The Mental Health Board of San Francisco. Kelly was featured in VICE Magazine’s article “San Francisco Police Department’s only Mental Health Liaison” by Max Cherney in March 2015. She was also on the KALW segment, “Crisis Intervention Training” in December of 2015 as well as a panel participant at the Commonwealth Club regarding ‘”Prevent Gun Violence” in January 2013. Mark W. Marvin, Ph.D - Director, CRF/PERT San Diego. 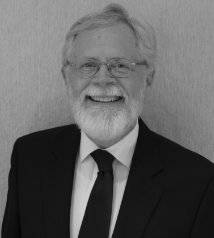 Mark W. Marvin, Licensed Psychologist, has had extensive experience providing psychological services to various public safety agencies (law enforcement, fire service, emergency medical, and dispatch) since 1988. He also has thirty years of experience as a clinician, consultant, and Chief Psychologist with Community Research Foundation, providing services to persons having severe mental illness. Following are some of Dr. Marvin's law enforcement experiences: With Focus Psychological Services, Dr. Marvin has been a psychologist to the San Diego Police Department since 1990. Dr. Marvin has provided counseling services (to employees and their dependents); ENT consultation and training; MAP training; supervisor and officer training; line-up psychological briefings; organizational interventions; and post-trauma interventions. He has advanced certification in EMDR. 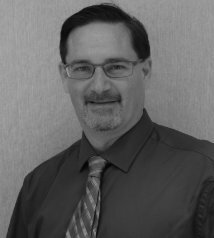 Dr. Marvin has 22-years of clinical service with the EAP of Customs and Border Protection -- U.S. Department of Homeland Security. To better comprehend the unique demands of the Border Patrol, Dr. Marvin logged hundreds of hours in the field accompanying agents pursuing smugglers. Dr. Marvin’s services have involved training development and presentation; post-trauma intervention; consultation and training to the National Critical Incident Response Team; death notification; management consultation; and counseling (to employees and family members) services. Dr. Marvin has attended Law Enforcement Memorial Week (Washington, D.C.) per the request of the United States Border Patrol, to personally assist family survivors of line-of-duty deaths, support personnel, and the Honor Guard. Dr. Marvin is credited as a co-developer of the Border Patrol’s Peer Support Program. He has had extensive involvement with Peer Support operations in San Diego, El Centro, and Yuma Sectors. Dr. Marvin has been an EAP Area Clinician to the Drug Enforcement Administration -- U.S. Department of Justice since 2008. His services have included training, management consultation, post-trauma interventions, and counseling to agents and their dependents. Dr. Marvin was named Director of PERT in 2015. Detective III Charles Dempsey – LAPD With over 28 years of law enforcement experience, Detective Dempsey is the Officer-in-Charge of the Administrative Training Detail, Mental Evaluation Unit (MEU), and Crisis Response Support Section (CRSS) for the Los Angeles Police Department. He has conducted a variety of assignments with both the LAPD and Department of Defense. After receiving his Associates in Science in Nursing, he earned his certification in German from the Defense Language Institute Foreign Language Center, studies in Urban Geography and Foreign Languages (Spanish), and completed the Clinical Training Program at the National Center for Post-Traumatic Stress Disorder in Menlo Park, CA. Detective Dempsey has vast experience when it comes to Mental Health. He is currently responsible for the design, development, and implementation of the LAPD’s training curriculum, the review and writing of the Department’s policies and procedures for interacting with persons suffering from mental illness/mental health crisis, and the weeklong Mental Health Intervention Training (MHIT) course. Detective Dempsey is a member of the Mental Health Services Act (MHSTA), the Innovations Committee in Sacramento, CA, and the Los Angeles County System Leadership Team (SLT). In addition to his professional memberships, he has been trusted to provide expert witness testimony in State/Federal civil lawsuits in regards to police policies, procedures, and training involving persons suffering from mental illness/mental health crisis. Christine Davies, LMFT - Assistant Director, CRF/PERT San Diego. 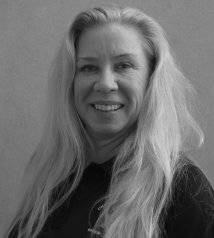 Christine is a licensed MFT and the Assistant Director of the Psychiatric Emergency Response Team, better known as PERT. In 1993, she began her career in emergency response work in Los Angeles work for the Department of Children and Family Services within the Emergency Response Unit. 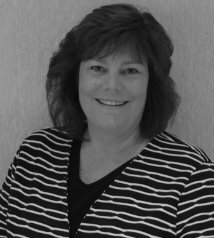 Christine moved to San Diego in 1997, working as a Case Manager for the County of San Diego’s Health and Human Services agency, providing case management services to those on LPS Conservatorship. Christine’s role as a PERT clinician placed her in a patrol car alongside a uniformed officer for 10-hour shifts. She took an interest in understanding and clarifying the misconceptions between community organizations, members, and law enforcement around mental health related incidents that could create barriers to providing services. Christine was instrumental in collaborating with agencies whom called upon law enforcement for assistance with individuals experiencing a mental health crisis. In addition to building strong relationship with these communities, Christine took the time to inform and education her law enforcement partners on relevant mental health related issues. In 2014, Christine became a Training Instructor for the Police Academy on responding to call involving individuals with Special needs. 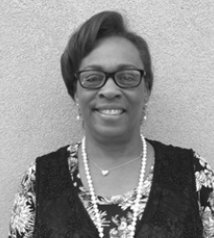 Recently, she became the Assistant Program Director for PERT and continues to serve the community through the spirit of collaboration. Captain Robert O'Brine - San Bernardino County Sheriff’s Department. Captain O’Brine began his career with the San Bernardino County Sheriff’s Department in 1990 as a Search and Rescue volunteer. He graduated from California State University San Bernardino with a Bachelor of Science degree in Criminal justice, after which he was hired as a full-time law enforcement deputy sheriff. As with most recently hired deputy sheriffs, he was assigned to duty in the custody atmosphere caring for those incarcerated. Later promoted to the Hesperia Patrol Station as a Field Patrol Deputy, and then to the Training Division, he trained in-service personnel and new academy recruits. After several promotions, resulting in a 2016 promotion to the rank of Captain, he began managing the San Bernardino County Sheriff’s Department Frank Blank Regional Training Center. As a part of his duties there, Captain O’Brine is the Department’s Chairman of the Crisis Intervention Training Committee. A collaboration between the San Bernardino County Behavioral Health and Sheriff’s Departments, this committee is responsible for developing and providing Crisis Intervention Training to peace officers throughout the region. Acting Director, Ramona Prieto - Department of Alcoholic Beverage Control (ABC). Acting Director Ramona Prieto brings over 37 years of law enforcement experience to the Department of Alcoholic Beverage Control (ABC), along with advanced education and a proven record of collaborative leadership in many areas. In 2015, Director Prieto retired as Deputy Commissioner of the California Highway Patrol (CHP), the largest state law enforcement organization in the nation. In her position, she managed a $2 billion budget and oversaw the day-to-day operations of approximately 7200 uniformed field personnel and 3400 non-uniform civilian professionals, as well as several adjunct duties in multiple special offices. Director Prieto has achieved numerous historical milestones in her career: She was the first female motorcycle officer, the first female Assistant Commissioner, and the first female Deputy Commissioner in CHP’s nearly 90-year history. She has over three decades of hands-on experience in seven field commands and three staff operations, working in commands throughout the state. Director Prieto has been recognized for her innovative, result-oriented collaborative efforts every assignment and has championed such issues as: enhanced officer safety, workplace violence prevention, community involvement, and tactical and operational training. She has worked diligently to improve public safety throughout her career and has been selected to be a spokesperson for CHP at the local, regional, headquarters, and national levels. Director Prieto has earned numerous prestigious honors and awards during her long career and has been recognized locally, state-wide, and nationally for her innovation and her dedication. Director Prieto holds an AA degree in Administration of Justice, a BA degree in Public Administration from the University of San Francisco, and a MA degree in Leadership from St. Mary’s College, as well as a workers compensation certificate from UC Davis. Despite these accomplishments, if you were to ask, Director Prieto would tell you her most honored achievement is being the mother of five daughters, grandmother of eight grandchildren and wife of elected Sheriff of Yolo County, Ed Prieto. Acting Chief Deputy Director Helena Williams - Department of Alcoholic Beverage Control (ABC). Acting Chief Deputy Director Helena Williams brings 22 years of law enforcement experience to the Department of Alcoholic Beverage Control (ABC). She began her law enforcement career as an Officer with the California Highway Patrol (CHP) during which time she has been promoted to the ranks of Sergeant and Lieutenant. She has served in four different CHP field commands including Hollister-Gilroy, Capitol Services, North Sacramento, and Valley Division Investigative Services. She has served three times in the North Sacramento office from officer to the rank of sergeant. Chief Deputy Williams has been called to serve in three different administrative assignments within the CHP including its Academy, instructing criminal law, Risk Management, and Internal Affairs managing the Investigations Unit. She is a California Peace Officer Standards and Training (P.O.S.T.) certified instructor for the First Line Supervisors Academy, Middle Management Training Course, and the Command Management Course. She has instructed law enforcement professionals on Ethics, Internal Affairs Investigations, Controlled Substances, Impaired Driving, Drug Facilitated Sexual Assaults, Community Oriented Policing, Sergeant’s Forum, and the Police Officers Bill of Rights (POBR). She was the statewide Drug Recognition Expert Coordinator (DRE) responsible for the direct oversight, training and continued development of at least 2,500 DRE’s representing at least 250 statewide, national and international law enforcement agencies. She has provided countless hours of training to physicians, nurses, school administrators, teachers, middle and high school students, defense attorneys, deputy district attorneys, toxicologists, criminologists, and executive management of allied agencies. She currently is a DRE and DRE instructor. Chief Deputy Williams believes organizations are successful when employees are valued not only for their achievements and accomplishments but for their contributions. She truly is inspired by the success of others and enjoys being part of their path in professional development. She is most inspired by her family, including her husband, daughter, son and lovely grandchildren. Officer Jeff Shannon, LMFT - Berkley PD. Jeff is the CIT Coordinator for the city of Berkeley Police Department. Officer Shannon is also a licensed Marriage & Family Therapist (LMFT) with decades of experience working in the community mental health system. Officer Shannon is a contributing writer at Calibre Press and a law enforcement instructor in the areas of crisis de-escalation and emotional wellness. Supervising Probation Officer Christiene Andrews - San Diego County Probation Department. Christiene has 18 years of experience in probation programs including institutional services, juvenile field services and adult field services. She specializes in the case management of criminally involved individuals with mental health or developmental concerns. She has served as the Supervisor for the Behavioral Health Supervision Unit since 2012. Christiene has functioned as a Subject Matter Expert with the Board of State and Community Corrections in the updating and development of curriculum for adult and juvenile correctional officers and probation officers throughout the state with regard to the effective treatment and rehabilitation of offenders with mental health concerns. Christiene is a field instructor for California State University San Marcos Social Work Department and San Diego State University Social Work Department. Christiene is a liaison with the Public Defender’s office, the District Attorney’s office, the Superior Court of San Diego, Assertive Community Treatment providers, Health and Human Services, hospitals, and many other community organizations. She served on the San Diego and Imperial Counties Regional Round Table Community Planning Committee for Stigma/Discrimination Reduction of Mental Illness and on the workgroup for the implementation of Laura’s Law in San Diego County. She is a graduate of the FBI’s Crisis Negotiation Academy. Detective Mike Tabak - San Mateo County Sheriff's Office, Psychiatric Emergency Response Team (PERT). Mike coordinated San Mateo County's CIT program from 2015 -2017 and continues to provide CIT training and information to First Responders, Public Safety Dispatchers, and San Mateo County residents. Michael Krelstein, M.D. - Medical Director, San Diego County Behavioral Health Services. A practicing clinical and administrative psychiatrist with nearly 20 years of experience, Dr. Krelstein currently serves as Clinical Director for Behavioral Health Services for San Diego County. Dr. Krelstein’s broad clinical and managerial background includes urgent/emergent care and hospital based behavioral health services along with the more recent addition of integrative care services for diverse clinical populations. Dr. Krelstein is particularly proud of his forensic background and close collaboration with law enforcement, which has earned him several Congressional recognitions. Dr. Krelstein continues to practice locally, as well as in Las Vegas. Michael Summers - CIT Coordinator, Yolo County. Mike is a retired Police Sergeant with over 30 years of experience in law enforcement, serving with the Santa Cruz County Sheriff’s Department, West Sacramento Police Department and Sacramento Police Department. Summers has a variety of experience in his law enforcement career spending time as patrol officer, Field Training Officer, undercover narcotics investigator, Problem Oriented Policing (POP) unit, investigations, and patrol supervisor. In 1999, Summers organized and participated in a law enforcement driven mental health outreach team that targeted the chronically homeless and mentally ill of Sacramento. Funded by AB34, authored by Darryl Steinberg, Officer Summers and his team spent the next three years working with PROJECT HOPE (Homeless Outreach Partnership Effort) contacting over 2000 homeless and mentally ill people in Sacramento County. He has been recognized for his accomplishments by the California State Senate, the Sacramento City Council and twice been awarded Officer of the Year by Sacramento business groups for his efforts in dealing with the Homeless and Mentally Ill.
Summers has established, DISABILITY RESPONSE, a consulting business offering training to law enforcement and first responders on how to effectively and safely deal with persons coping with a mental health crisis. Summers is a CIT International certified training coordinator and facilitator for 24 and 40-hour Memphis based CIT training programs across California that are both POST and STC certified. Pietro “Piero” D’Ingillo PsyD - Los Angeles County Sheriff’s Department, Psychological Services Bureau. Pietro is a licensed clinical psychologist and is a member of the Los Angeles County Sheriff’s Department (LASD), Psychological Services Bureau. In 2016 he assisted with the development of the LASD Crisis Intervention Training where he functions as one of the full time instructors to patrol personnel. Dr. D’Ingillo attained community based experience while working for the Los Angeles County Department of Mental Health from the year 2004 until 2016 at which time his primary duty was responding to and managing psychiatric crises. For a period of ten years he responded with sworn officers to community based psychiatric emergencies and was a member of the Los Angeles Police Department-Mental Evaluation Unit and Los Angeles County Sheriff’s Department-Mental Evaluation Team. Linda Tomasello - Senior Associate Governmental Program Analyst, California Highway Patrol, Mental Illness Response Program. Linda has 26 years of experience with the California Highway Patrol. Linda has been assigned to the CHP Mental Illness Response Program since 2013. Linda is a trained Associate Instructor, and as a Training Instructor/Coordinator, she participated in the completion of Mental Health Intervention training for over 10,000 California Highway Patrol employees statewide. She was tasked with the development and implementation of the first civilian employee Mental Health Intervention Training Program. During her departmental career, she has been involved in the creation and implementation of various statewide grant programs, which involved extensive collaboration between multiple law enforcement agencies and community groups. Elizabeth Giannini, MS, MFT - Deputy Public Guardian II, San Mateo County. Liz is a Cal Poly San Luis Obispo graduate. She recently joined the public guardian’s office of San Mateo after completing her licensing as a Marriage and Family Therapist, while gaining experience working as an inpatient psychiatric social worker at Cordilleras MHRC. She currently advocates for a clientele of 80 gravely disabled clients in the county and ensures appropriate treatment and accessible resources. 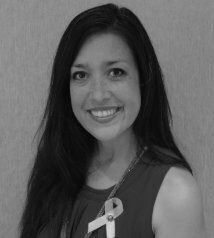 In addition to being Advisory Board Member for CACITA, Liz is a woman of the year candidate for the Leukemia and Lymphoma society, dedicated to supporting medical research in finding a cure for cancer. She is also fluent in American Sign Language.